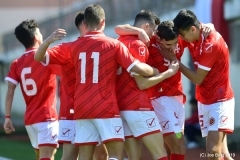 Sliema Wanderers scored three in the second half to beat Hibernians 3-0 and move an important step towards securing third place. The Wanderers were clearly a better side right from the start but it was only a penalty just past the hour which enabled to take the lead, going on to add another two goals. For the Paolites, this was yet another disappointing result as they were suffering the eighth consecutive defeat. 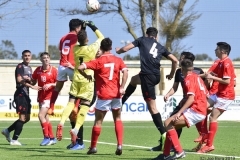 Sliema lacked Pedro Dos Santos Calcado and Jean Pierre Mifsud Triganza. Mario Muscat, Edward Herrera, Jean Paul Farrugia, Miguel Lopes De Pina, Yan Cauchi and Elkien Cauchi were missing for the Paolites who were led by Edmond Lufi from the bench. The Wanderers had the first attempt at goal on 22 minutes when off a cross from the left by Clayton Failla, a John Mintoff header was parried by Daniel Balzan. Three minutes later, following a freekick by Lucian Dronca, Julio Alcorse had a shot from close range parried by the Hibs goalkeeper. Daniel Balzan performed a good save on Julio Alcorse following a cross by Ian Azzopardi from the left on 28 minutes. Four minutes in the second half, Sliema missed a good opportunity with John Mintoff who hit high from the edge of the area after receiving a good pass on the right. On 57 minutes, Ivan Woods tested Daniel Balzan with a low shot when served by Clayton Failla from the left. The Wanderers finally managed to break the deadlock on 62 minutes when Lucian Dronca converted a penalty which was awarded for a foul by goalkeeper Daniel Balzan on John Mintoff. Seven minutes later, Ivan Woods doubled the score when he beat Daniel Balzan with a diagonal shot from the right when served by Failla from the left. Sliema maintained the pressure, going close with a shot by Mintoff from outside the area which was neutralised by the Hibs custodian. The Paolites replied with a Aaron Xuereb header off an Andrew Cohen corner which was turned into another corner on 79 minutes. On the 90th, Sliema scored the third goal when a cute lob by Ivan Woods beat goalkeeper Daniel Balzan but the ball hit the crossbar. However Clayton Failla headed the ball home from close range. Ivan Woods was voted BOV Player of the Match. 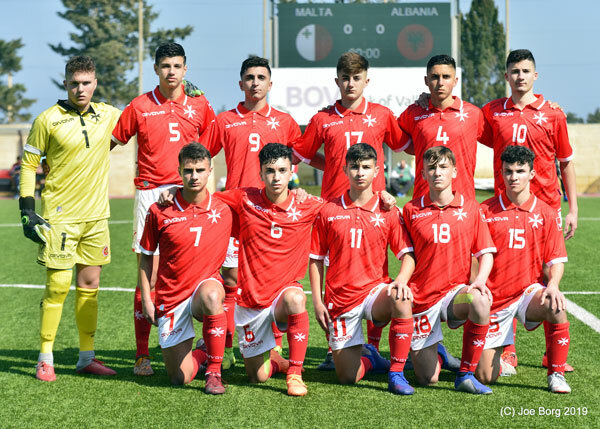 SLIEMA Simon Agius, Alex Muscat, Ian Azzopardi, Josef Mifsud (76’ Clifford Gatt Baldacchino), Ryan Fenech (88’ Luca Martinelli), Mark Scerri, Ivan Woods, Lucian Dronca, Julio Cesar Alcorse, John Mintoff (82’ Amadeo Mercieca), Clayton Failla. Subs not used: Jeremy Alden, Noel Turner, Ian Ciantar, Ray Attard. 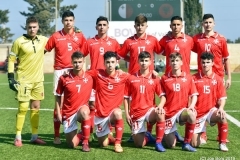 HIBS Daniel Balzan, Rene Duca (89’ Keith Tanti), Aaron Xuereb, Jonathan Caruana, Adrian Pulis, Christian Callejas (65’ Dylan Sammut), Andrew Cohen, Triston Caruana (78’ Ayrton Azzopardi), Chris Camilleri, Ben Camilleri, Elton Morelato. Subs not used: Christian Cassar, John Micallef, Jonathan Pearson.